Come on by our Dress Rehearsal! The Russian Roulette Variety Show is having our final Philly based dress rehearsal on Saturday, June 23rd. Guess what? You’re all invited! 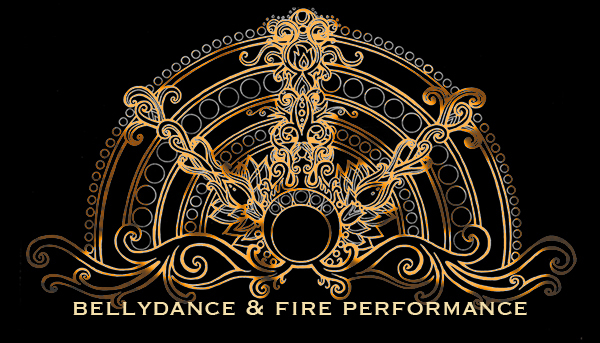 Its going to be a fundraising dress rehearsal, to help pay the cost for fuel and fire insurance and other wonderful but expensive things the whole group needs to make the show go on. The dress rehearsal is being held at the basketball courts at the corner of Tilton St. and E. Sergeant St in Fishtown (map) and is currently scheduled to run from around to start at 8pm (suggested to show up around 7:45pm) Donations welcome and much appreciated! The Russian Roulette Variety Show will debut once again at PEX Summer Festival 2012! Please join us for our newest tantalizing showcase of the hottest, most enticing performances set to our very own MC of the hour, Mr. Michael Nighttime. 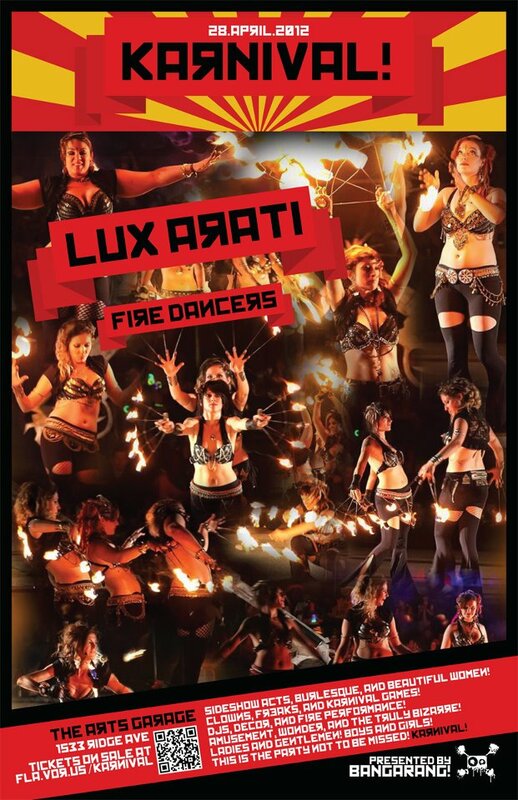 This year’s lineup features performers from Philly (Lux Arati, The Penny Treats, Iconic Fire), Baltimore and DC (Electrocute, Drex) all the way to Florida (Miss Egypt) as well as cutting-edge international acts and performers. R.R.V.S. 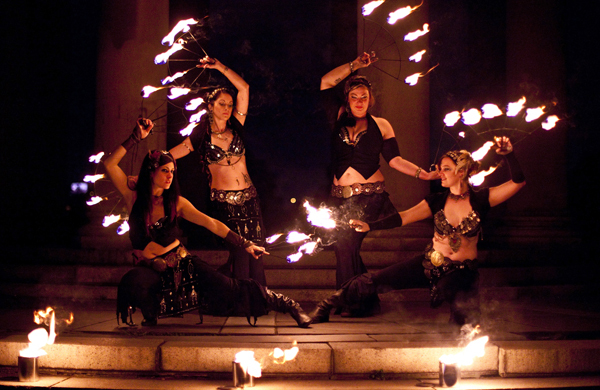 is part of a PEX tradition of stellar performance art, utilizing a traveling sideshow style framework to showcase acts ranging from circus arts, fire performance, burlesque, object manipulation, tribal bellydance, acrobatics and so much more. Last night was a lot of fun. Despite threatening all week to rain, the weather turned out just beautiful. I think we should perform with live drummers more often… huge thanks to Gabrielle for putting on a great show! One of the audience members grabbed some snippets of video. Here’s the beginning of the fan finale piece. So, this one’s a little old- but still good! 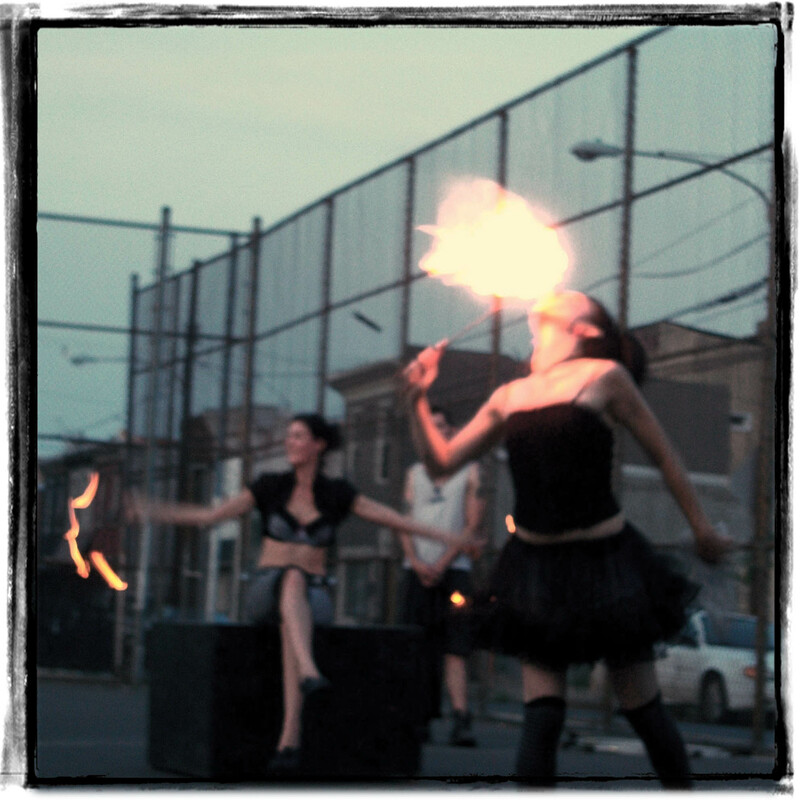 I just got the video from our Heartburn performance. It was pouring rain, and freezing cold- but the show must go on!